Dafne Schippers brought a wave of excitement to the AA Drink FBK Games in Hengelo, setting a national 100m record of 10.94 at the IAAF World Challenge meeting on Sunday (24). Schippers’ previous best of 11.03 was set at the 2014 IAAF Diamond League meeting in Glasgow, a performance which persuaded her to focus on the sprints at the European Championships later that year. 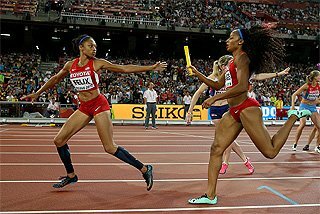 This year she will once again have to decide between heptathlon and sprints ahead of the IAAF World Championships, Beijing 2015. Her performance in Hengelo hasn’t brought forward her decision. “I will wait for the results in Götzis and some more sprint races afterwards,” said Schippers, who will compete in the heptathlon at the Hypo Meeting next weekend. Aided by a near-perfect 1.8m/s tailwind, Schippers finished ahead of world junior champion Dina Asher-Smith, who was rewarded with a British record of 11.02. Compatriot and 2007 world youth champion Asha Philip also set a personal best, clocking 11.10 to move to equal third on the British all-time list. Britain’s Chijindu Ujah was the fastest in the men’s 100m. With his winning time of 10.09 (-0.3m/s) he beat South Africa’s Akani Simbine, who clocked 10.12, and European 200m champion Adam Gemili, who ran 10.19 in what was his first race of the season. Despite finishing sixth in the 100m, home favourite Churandy Martina didn’t disappoint his fans because he had earlier won the 200m in 20.66. Britain’s Danny Talbot was second in 20.67 and Canada’s Aaron Brown was third in 20.77. Just minutes after Schippers’ triumph, another Dutch record fell. Sifan Hassan won the women’s 1000m in 2:34.68, the fastest time in the world for six years. 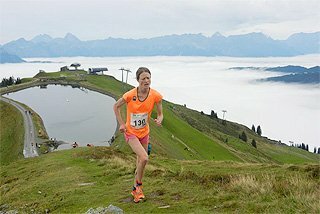 She beat Poland’s European bronze medallist Joanna Jozwik and Britain’s 2011 European indoor champion Jenny Meadows, who clocked respective PBs of 2:35.57 and 2:36.13. Kenyan athletes won the two longest events on the competition programme. One year after winning the 800m in Hengelo, Robert Biwott returned to the Dutch city to contest the 1500m, the event in which he is the world youth champion. The 19-year-old waited till the last 300 metres to take the lead, finishing in a world-leading time of 3:33.64 to take two seconds off the PB he set last week in Shanghai. During the first two laps, Nixon Chepseba was the only one who followed the pacemaker, who went through 800m in 1:52.62. 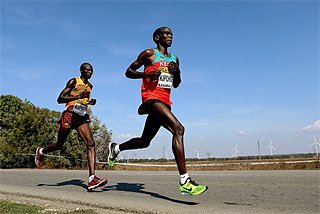 But Biwott and Anthony Kiptoo were close behind and never allowed the gap to get too big. 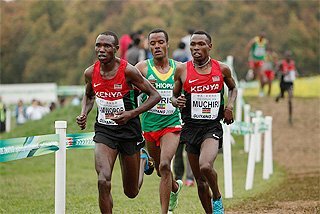 In second, Ronald Musagala broke the Ugandan record with 3:35.02, while 17-year-old Kiptoo finished third in 3:35.33. Irene Jelagat was the other Kenyan winner, finishing more than a second ahead of her opponents in the 3000m. 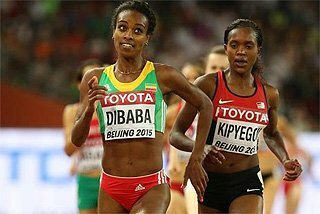 The 2006 world junior 1500m champion won in 8:36.90, a time bettered this year only by Ethiopia’s Almaz Ayana, who went through the 3000m point in 8:36.53 en route to her world-leading 5000m performance in Shanghai. Britain’s Laura Muir finished second in 8:38.47, while Australian steeplechase specialist Madeline Heiner was third in 8:44.20, big PBs for both athletes. 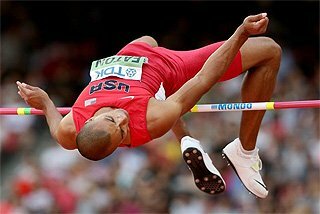 Olympic champion Ashton Eaton is in good shape ahead of next week’s Hypo Meeting in Gotzis in what will be his first decathlon for almost two years. In Hengelo the world record-holder tested himself in the long jump, leaping 8.03m in the fourth round. He had led for the first half of the competition, but Poland’s Tomasz Jaszczuk stole the lead in round four with 8.05m. German amputee athlete Markus Rehm then leaped 8.07m in the final round to take the victory. 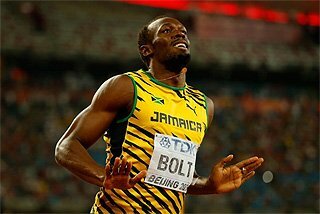 Eaton passed the last two rounds as he had to prepare for the 100m. He finished seventh in that event in 10.42. “It was fun and a good test,” said the world champion. European indoor champion Alina Talay came within 0.04 of the Belarusian record to win the 100m hurdles in a personal best of 12.70 (1.4m/s). Germany’s Cindy Roleder was second in 12.92 while world junior bronze medallist Nadine Visser was third with a PB of 12.97, a World Championships qualifier. World heptathlon silver medallist Brianne Theisen Eaton was fourth in 13.05, her second-fastest performance ever over the barriers. Polish discus thrower Piotr Malachowski returned to the scene of his 71.84m national record from two years ago and once again came out on top. 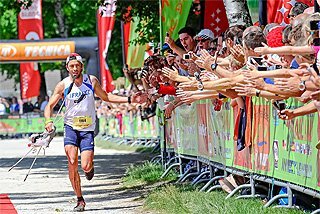 But, just like his two other victories this year, the 2010 European champion left it late. After the first two rounds, Malachowski was sitting on two fouls while compatriot Robert Urbanek led with 64.47m. Belgium’s Philip Milanov then took the lead with 64.57m while Malachowski did just enough to stay in the top eight at the half-way point, throwing 61.78m in round three. Pressure off, Malachowski took the lead in the next round with 65.87m and then ended his series with 65.52m. 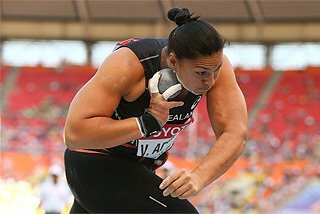 In the women’s event, in-form Cuban won the discus throw with 65.46m as four of her five valid throws would have been enough to win. Germany’s Julia Fischer was second with 62.78m and Ukraine’s Nataliya Semenova was third with 61.09m. Several athletes were still in contention in the men’s 800m as a large group sprinted towards the finish line. European indoor champion Marcin Lewandowski had the edge, though, winning in 1:45.46. Almost six years after setting his previous PB on the same Hengelo track, 2007 European junior champion Robin Schembera set a lifetime best of 1:45.48 to finish second, 0.25 ahead of Commonwealth bronze medallist Andre Olivier. Nikoleta Kyriakopoulou is the athlete to beat in the women’s pole vault at the moment. After setting a Greek record of 4.73m to win at the IAAF Diamond league meeting in Shanghai last weekend, she achieved her second win of the summer in Hengelo, winning with 4.60m. Germany’s Silke Spiegelburg was second with 4.55m, her best outdoor clearance since 2013, while Fabiana Murer and Nicole Buchler shared third place, both with 4.55m. 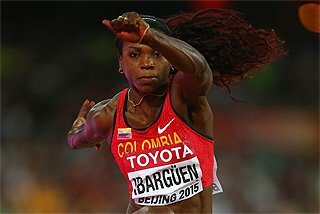 European indoor silver medallist Sosthene Moguenara won the long jump with her opening leap. The German jumped a season’s best of 6.77m in round one, followed by 6.76m in round two. 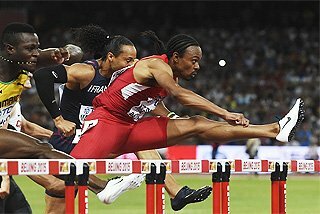 Britain’s Lawrence Clarke won the 110m hurdles in 13.54 (0.5), his fastest time of this season. Koen Smet from the Neherlands was second in 13.60, just 0.02 shy of his personal best. European silver medallist Olga Zemlyak beat two-time world champion Christine Ohuruogu in the 400m. 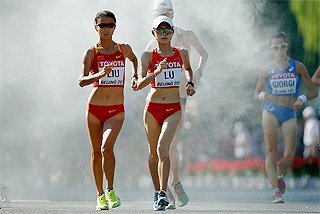 The Ukrainian ran away from the field in the first 200 metres. Ohuruogu and fellow Briton Anyika Onuora chased hard in the second half, but Zemlyak held on to win in 52.13. Ohuruogu was second in 52.27 and Onuora third in 52.35. Elsewhere, Jakub Szyszkowski set an outdoor PB of 20.42m to win the shot, while a jump-off was needed to decide the winner in the men’s high jump. Russia’s Dmitriy Semyonov finally took the win with 2.23m ahead of Britain’s Allan Smith.